Buying insurance for your car seems like such a tricky undertaking to do: types of coverage, car model, driver statistics; if you’re unsure about how to go about buying your car insurance, here are a few tips and reminders to help you in this seemingly daunting task. There are many types of car insurance and they cover different kinds of things. This insurance applies for when you are at fault in an accident involving another vehicle. The insurance can help you pay for the other person’s injuries and such. This is similar to personal liability but it applies to inanimate objects like another vehicle, a fire hydrant, or a street sign. The above types offer minimum coverage, while comprehensive insurance offers a broader coverage, which includes damages caused by things other than a collision, like fires, vandalism, or even theft. Collision coverage covers damages caused by, you guessed it — collisions. These types of insurance can be combined into a full coverage insurance plan. Do remember that the greater the coverage, the more expensive the premium will be. Based on documented data and research, male drivers are usually charged more since they are more prone to be involved in accidents and the same applies for younger drivers, who are more inexperienced. 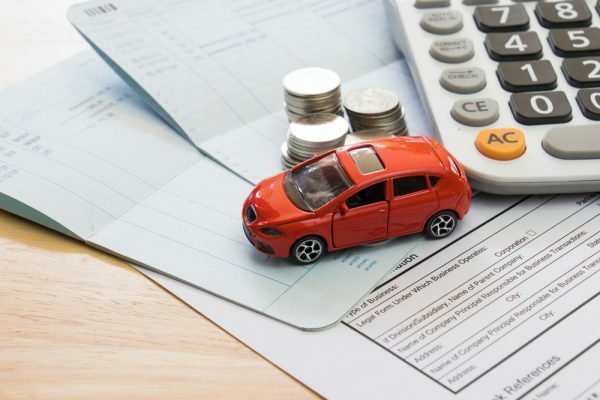 Your driving record also plays a role in determining how much you pay. If your record shows multiple traffic violations or involvement in collisions, you’ll probably pay a higher premium. Are you using a used car? Just bought a new one? Driving a Porsche? It turns out that your vehicle affects the price you are going to have to pay when buying car insurance. The insurance premium is partly based on the price of your vehicle. It is also based on how expensive the vehicle would be to repair, including the number of parts, are all taken into account. Aside from that, the price can also be subjected to surcharges depending on how often your kind of vehicle is stolen or involved in accidents. Insurance companies set their rates based on their own experience with claims involving thefts and collisions, which leads to the next tip. It is best if you get quotes from several insurance companies before buying, especially if budget is a factor. Insurance companies consider where you live, the type of your vehicle, and your driving record when making a risk profile. However, different companies receive different claims and their experience will affect how they assess. Because of this, the rates can vary significantly from one company to another for the same coverage, car, and driver. Besides getting quotes, be sure to investigate the company’s reputation. Look at how often they get complaints and see if they provide great customer service. When you finally decide to buy insurance from your desired insurance provider, be sure to ask questions in order to avoid confusion (or hurting your wallet) later. Ask if the insurance company is quoting you their lowest price or if you can get a discount. Does the insurance cover loss or theft of keys? Will you be provided a courtesy car if you were involved in an accident and your car is still in repair? Will they be giving you a hard copy of the terms of the insurance? You can ask them anything to ensure that you get what’s best for you. Remember this: there are no stupid questions. If you are still having trouble looking for a car insurance that’s right for you, try GoBear’s online comparison website. Simply type in your gender, age, and car model and it will let you compare quotes from different insurance providers and make sure that you get the best deal.